Dr. Vanessa Grano is board certified in obstetrics and gynecology and is a Fellow of the American College of Obstetricians and Gynecologists. She has been practicing in the Rye community for over 20 years. She loves the practice of obstetrics and gynecology because it allows her to establish strong bonds with her patients through adolescence, childbirth, menopause and beyond. Medicine allows her the satisfaction of being able to educate her patients on healthy living through all stages of life while making them feel comfortable talking with her. Dr. Grano understands that surgery is a rare event in a patient’s life. She prides herself in resorting to this option only when absolutely necessary, but is satisfied that she can provide her surgical expertise with kindness and support. She has a special interest in minimally invasive surgical techniques, such as hysteroscopy and laparoscopy. 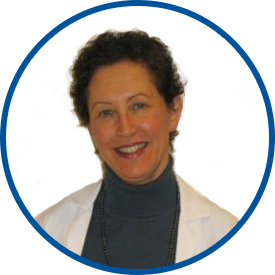 After graduating with a bachelor of arts degree from New York University, Dr. Grano received her medical degree from State University of New York Health Science Center at Brooklyn. She completed a residency at Columbia Presbyterian Hospital. Dr. Grano joined Westmed Medical Group in February 2005. She is an attending physician at Greenwich Hospital. *Dr. Grano is great at what she does, she is caring & informative! I have recommended Dr Grano to my friends and now they are her patients! Dr. Grano is exemplary of the most knowledgable, professional, competent and humble physician that I have every visited. I recently moved to NY and needed to find a new OB. Dr. Grano, even though she was running behind, spent a lot of time with me getting to know me, my medical history, and explained different things to me and answered all questions I had. My first experience with Dr. Granno and it was positive. Dr. took time on a Sunday to call with results, very much appreciated.